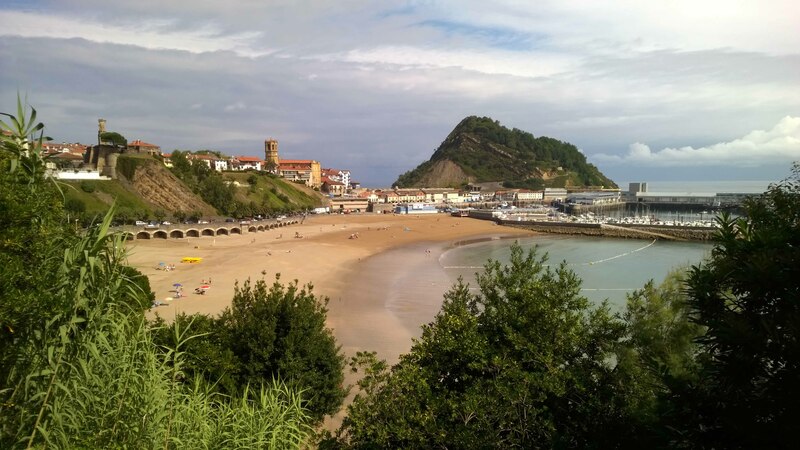 Day 15: San Sebastian – Eibar. 70km. 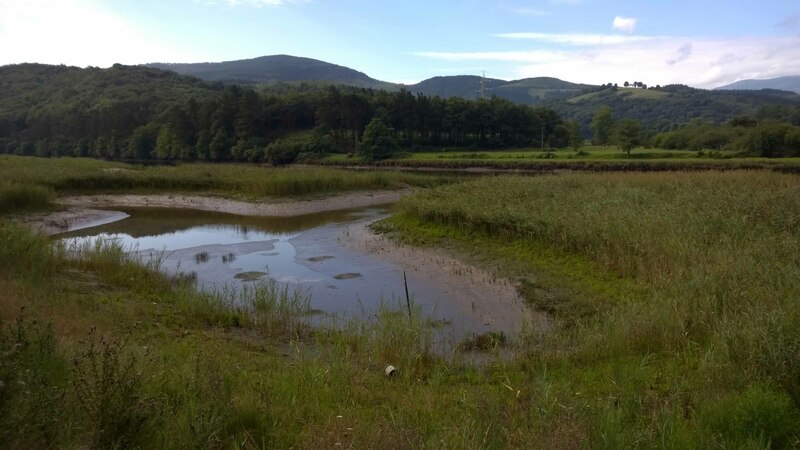 Off into the mountains today in the morning sunshine. A hard day of hot and frequent climbs. Back to the love and and hate. Every revolution of the pedals hurts but it feels good to work that hard all the same. It’s a weird mental state to be in with such momentarily shifting inconsistency. 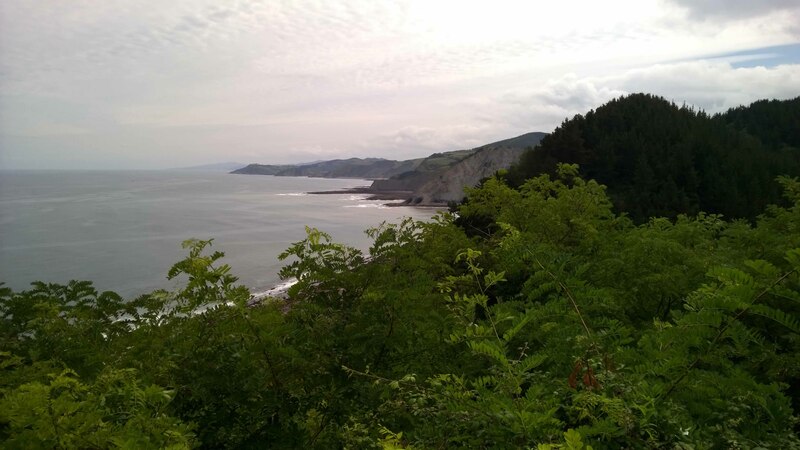 Today I felt very strong and able to climb hills that I would not have managed a couple of weeks ago. The progress is quick. We are fitter than we were. My interest is not only in maintaining my own health, but also Keith’s as I may need him to donate me a kidney and need to keep him in good nick too. It’s OK, he has offered. 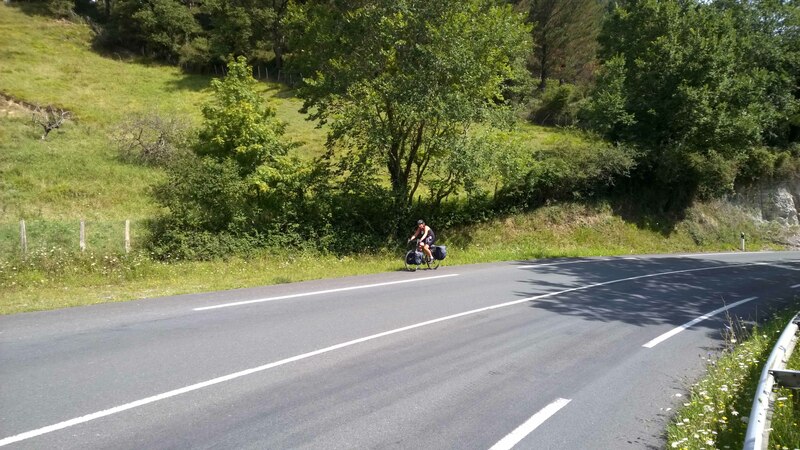 We cycled through stunning countryside and out along the Atlantic coast on the N-634, a fabulous cycling road frequented by large numbers of local Spanish road bikers doing what must be a circuit out of San Sebastian of around 100km or so. They didn’t have a full load, so we let some of them overtake us. Only some of them. Today is our 4th last day of cycling. We feel sad about that. From feeling like we have forever ahead of us, it now feels near to the end. 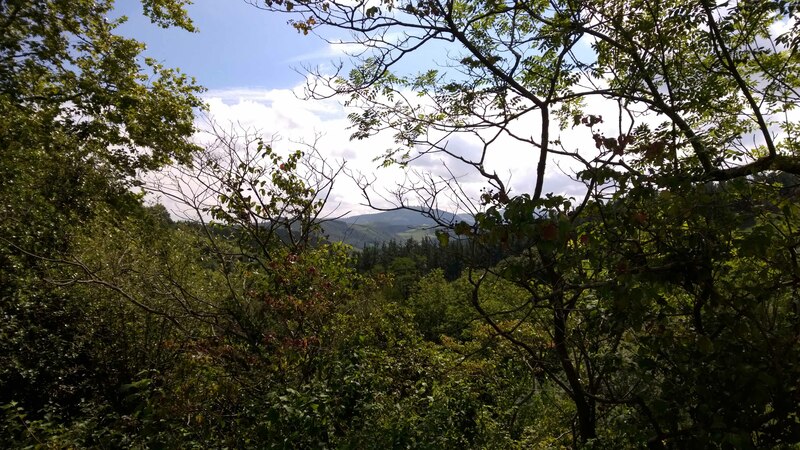 We climbed as high as 225m and biked through valleys with peaks around 500m on either side. Spectacular stuff. Home tonight is the extremely weird town of Eibar, positioned in the midst of the mountains in a narrow valley where everything is up. All the buildings are high rise and it is a bizarre mix of shiny new apartments and rundown tenements. There is a huge, shiny and almost entirely empty, El Corte Ingles department store selling washing machines and 4K TVs to nobody with a background musak of Dandy Warhols and The Housemartins. Weird, I tell ya. We stood in the empty store and stared at a 4K TV for a bit in trance-like awe, thinking that if we bought one of these (with Keith’s redundancy money), we would never leave the house again. 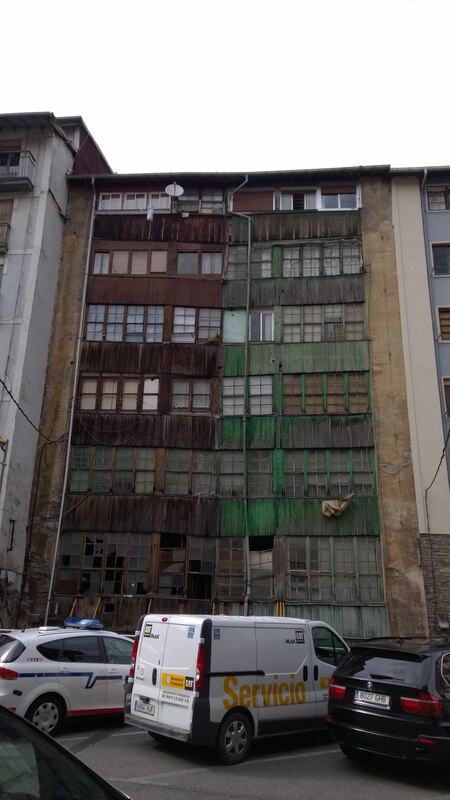 It is impossible to fathom why anyone would live in Eibar, but they do. Well, not at the moment they don’t as they mostly appear to have shut up their shops and gone on holiday for August, so it’s pretty deserted. Oh, and on one side of the valley is a massive, high rise nursing home full of balconies populated by elderly Spanish people overlooking the empty El Corte Ingles which they can’t go to, in amongst the high mountains, probably wondering how on earth they ended up here, or whether they have, in fact, died already. 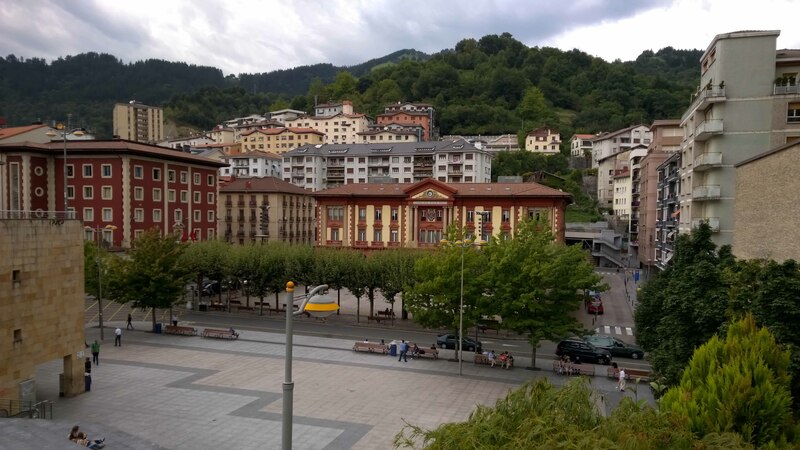 We’re staying in the Unzaga Plaza Hotel which has been voted #1 out of #1 hotels in Eibar, which tells you all you need to know about everything. 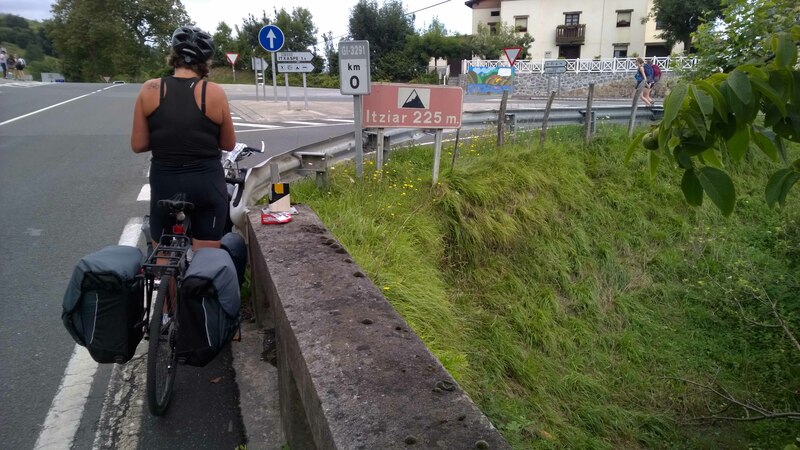 This entry was posted in Cycle Trip 2014: St Malo, France - Santander, Spain, Cycling, Spain, Travel and tagged Basque, Bilbao, cycle, cycle touring, mid-life crisis, middle aged travellers, redundancy, Spain, travelling. Bookmark the permalink. 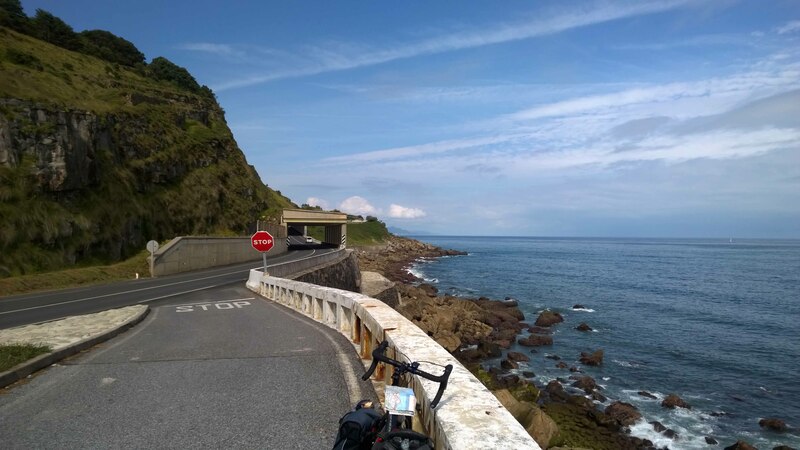 ← Day 14: Biarritz – San Sebastian. 52km. Buy Now! Only £3.99 to change your life!